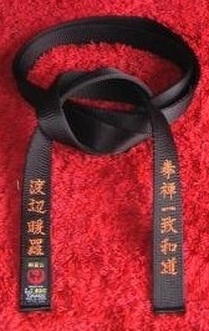 Junior Black Belt / Sho Dan Ho (初段補) 14 years old and below. Note: 1) In some Dojo, Shodan Ho is referred to as Shonen Shodan. 2) Red or Yellow Gold stripe can be used to distinguish Dan level but not compulsory.